There are any number of items that can be looked at for analysis, providing you with an overall picture of what is taking place on your web site. You can see which items more attractive to a wider variety of customers, as well as keep track of what return users and registered users are doing on your web site. Analytics also provide you with information on traffic sources, so you know where visitors are being directed from. You can use analytics to get basic information, such as visits, so that you can see whether traffic is increasing, or you can delve deeper to get more specific information. Once you are able to access important information about who is visiting your web site, it becomes possible to improve your marketing. 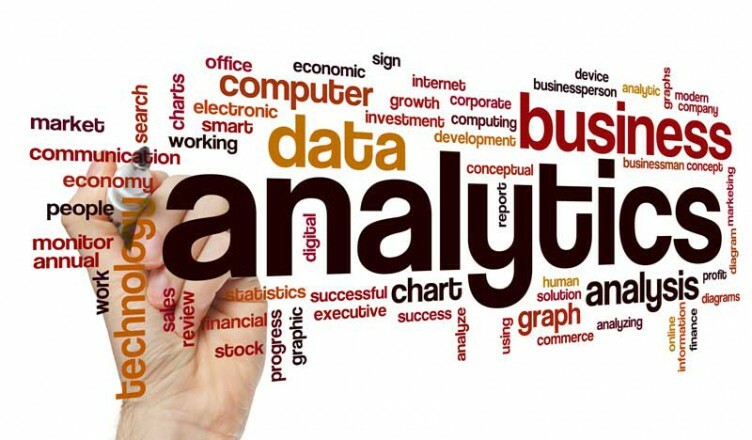 Analytics has become an important tool in efforts to optimize marketing. Targeted messages: Analytics can help you break out certain segments of visitors so that your messages are more individual. You can tailor different marketing campaigns to segments of your web site visitors. If you know that certain types of customers are coming from one specific site, or respond well to a certain type of ad, you can tweak your marketing campaign accordingly. Targeted ads on different web sites can help you increase response rates. Analytics can also help you use information gathered from registered user behavior to send targeted messages and offers that are more likely to succeed. Determine the success of different products: If you are trying to determine which products and services to keep, analytics can help you decide which to focus on. Optimize your marketing by focusing on products you know are popular. Product search analytics, as well as search data can help you decide which of your offerings to focus on. Choose more successful keywords: Part of optimized marketing is drawing new traffic to your site, or helping customers find desired products and services with the help of keywords. Use analytics to monitor searches. This can help you write better product descriptions, as well as produce content that users want to see. You will attract more visitors looking for what you offer, and increase your sales conversion when you use analytics to tailor your web site content. Increase customer retention: Analytics can also provide clues about customer retention. Once you know what is working, and what isn’t, you can optimize some of your marketing efforts so that they focus on keeping loyal customers. Monitor your success: Finally, analytics can provide you with a way to monitor your success. Set achievable benchmarks, and use your analytics to determine whether you are on the right track. Watching your analytics can help you figure out what is working, and what isn’t. Then you can adjust your marketing accordingly. In the end, optimized marketing requires information. You need adequate information so that you can make more informed decisions. Analytics can provide you with the information you need to make better marketing decisions that are more likely to result in long-term success.